Vacation rental villa. 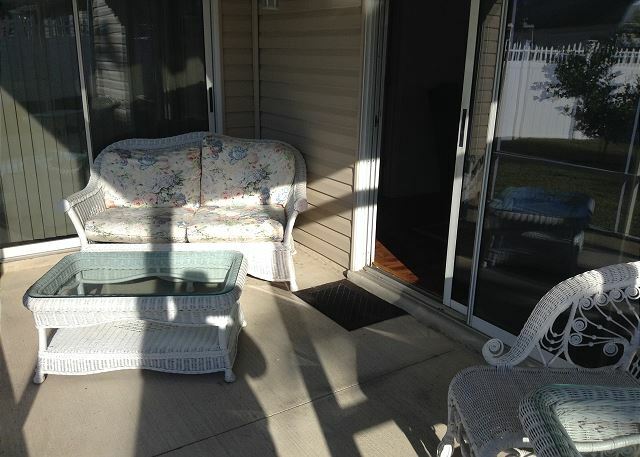 Sleeps 4, 2 bedrooms, 2 bathrooms. Dogs allowed. Location, Location, Location....This courtyard villa is located in the beautiful neighborhood of MALLORY SQUARE where you're surrounded by golf courses and recreation centers. Mallory Country Club is about a half mile away and offers Championship golf and has one of the most popular country club restaurants. You're less than five minutes to Lake Sumter Landing Market Square by golf cart where you'll find many restaurants, shopping, grocery store, movie theater and FREE live entertainment nightly. Mallory Square Neighborhood Recreation Center is minutes away by golf cart. 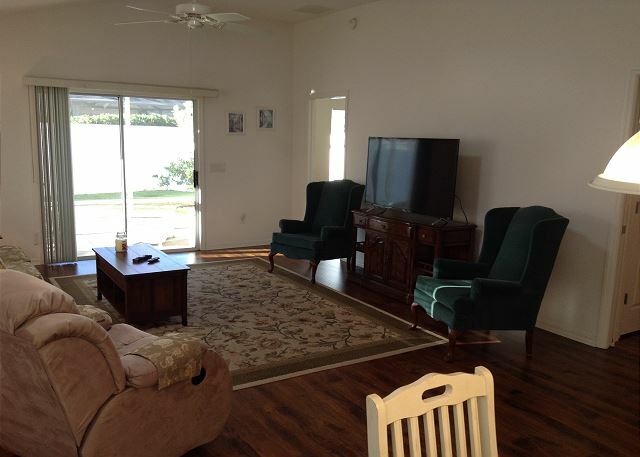 Here you'll find a swimming pool, shuffleboard courts, bocce ball & horseshoe pits. 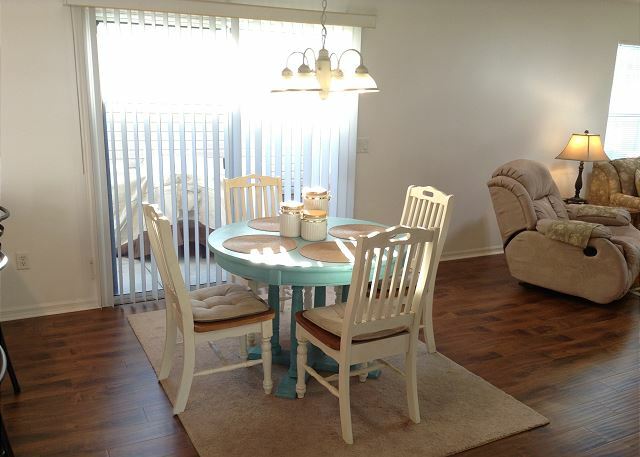 Your also less than a mile from Coconut Cove Recreation Center where you'll find a family friendly swimming pool, horseshoes, bocce ball, shuffleboard, tennis & pickle ball courts, game rooms, billiards room and so much more! You'll feel right at home the minute you open the front door. 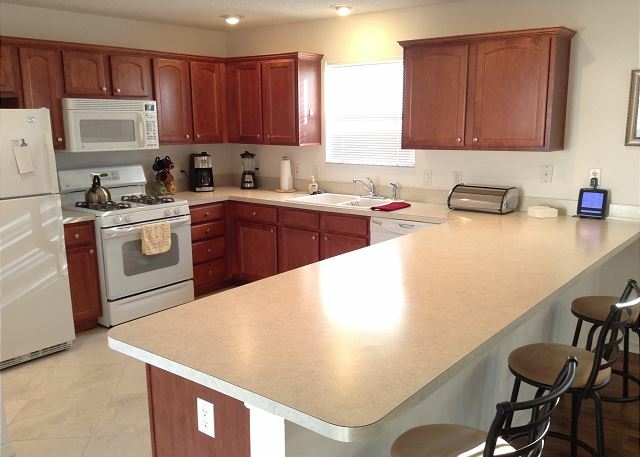 The kitchen is fully equipped with everything you need to prepare meals or entertain new friends. 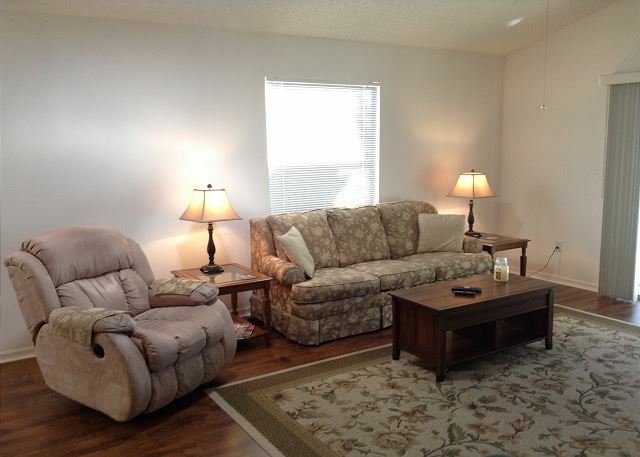 The living room offers comfortable seating and a flat screen TV to enjoy all your favorite shows. 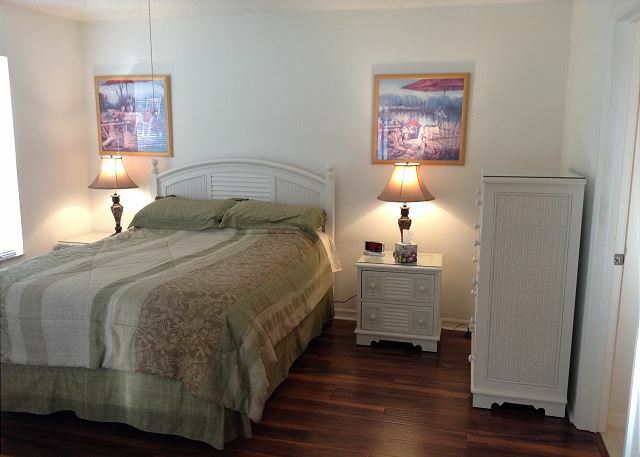 The master bedroom has a comfortable queen size bed, large walk in closet, TV and a private master bath. 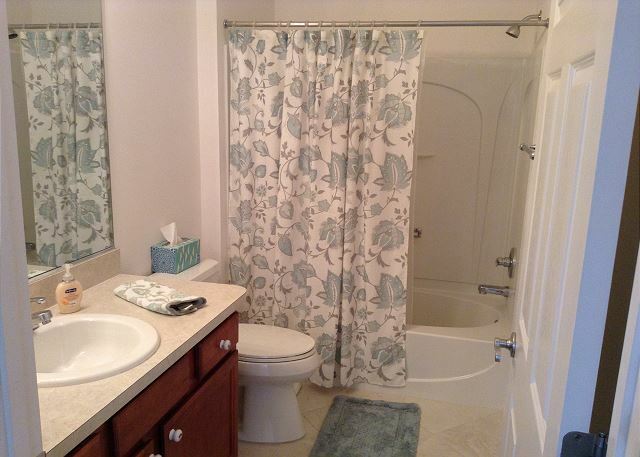 The master bath offers a walk-in shower, and comes with towels and linens. 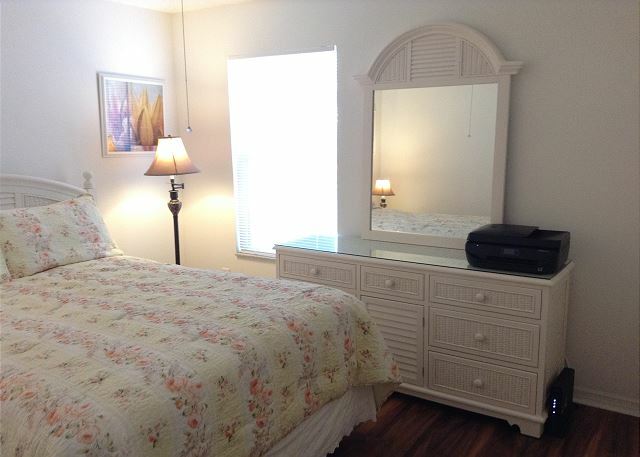 The guest bedroom offers a queen size bed and large dresser. 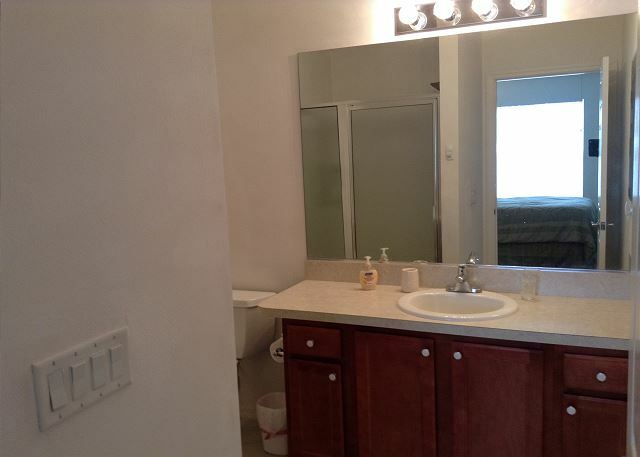 The guest bath offers a tub/shower in it and is adjacent to the guest bedroom. 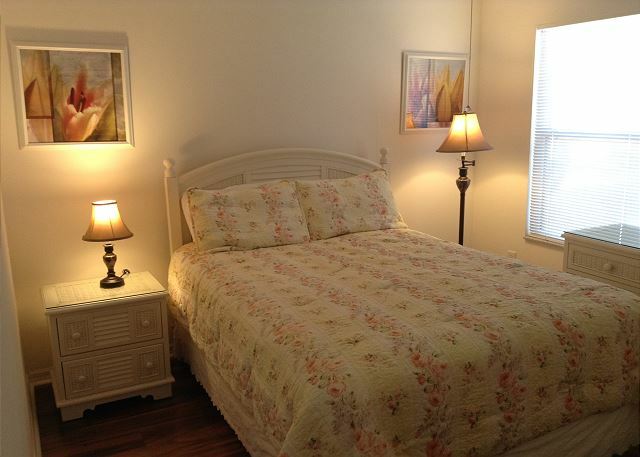 Both bedrooms and baths come with extra towels and linens. 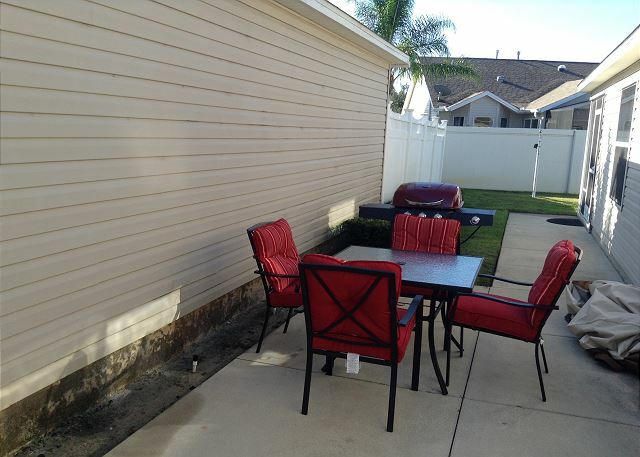 The screened lanai and private courtyard are perfect for many hours of relaxing to enjoy your morning coffee while reading the paper and planning your days activities or the perfect place to grill out with friends before heading off to the FREE nightly entertainment at one of the Town Squares. This home comes complete with Gas BBQ grill, men & ladies right hand golf clubs & WiFi internet connection. With the purchase of resident ID cards you can use any of the 29 executive golf courses with no greens fees. And these executive golf courses are not your typical 'pitch & putts'. They present some challenging par 3s and the occasional par 4, with three sets of tee boxes to accommodate golfers of different skill levels. You pay resident rates on greens fees at the 11 Championship courses. You're also entitled to use any of the family friendly and adult only (30 or older) swimming pools, organized activity swimming pools, bocce ball, shuffleboard courts, horseshoe pits, billiards tables, tennis & pickle ball courts, basketball courts, sand volley ball and over 1000 organized activities every week through the recreational centers. Just bring your suitcase and we'll provide the 'key' for enjoying the lifestyle. 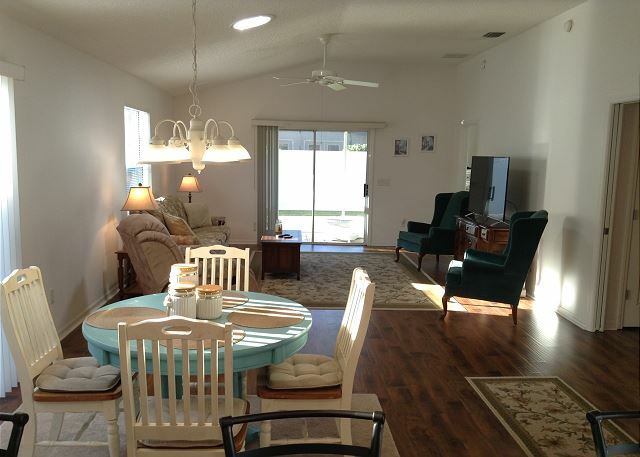 This tidy home provided convenient access to many of the aspects of life in the Villages. Did I mention the convenient location? Thank you for the review, we are happy to know you had a wonderful vacation and enjoyed the home. We hope to see you again soon!